Attention citizen scientists and naturalists, it’s time to charge your mobile devices. Our watershed scientist Katherine Pease is inviting you to BioBlitz with her for a few hours on Saturday, Aug. 26. Compton Creek is a small gem of green and blue, bisected by noisy freeways, crumbling parking lots, aging shopping malls and a high-rise casino. Amid all this urban scrabble, a soft-bottomed section of the creek thrives. Most people don’t know this earthen-bottomed half-mile stretch even exists. And some might argue that “gem” is too generous a term for this L.A. River tributary. But we see it as a forgotten jewel – a glimpse of what greater L.A.’s inland waterways used to be and a symbol of what we can hopefully bring back on a larger scale. There are drooping willow trees, reeds, frogs, swarms of dragonflies, California ground squirrels and even majestic kites (a type of bird) flying overhead. There is also trash, a lot of it, and pollutants that can’t be seen with the naked eye: bacteria, metals and nutrients. But there is that glimmer of hope. Plants and animals persist here, and now it’s our job to find out what’s there and to protect it. So we’re inviting you to a blitz. A BioBlitz to be exact. 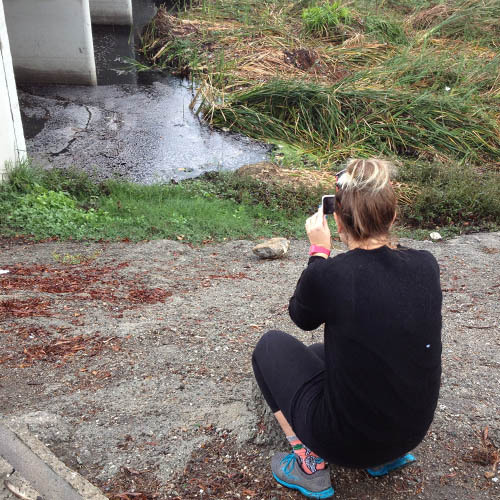 On Saturday, Aug. 26, you can join scientists and experts from Heal the Bay and the Natural History Museum of Los Angeles County in searching for wildlife and documenting it with your smartphone. We’ll be spending three hours snapping pictures of the local flora and fauna, uploading the images to our growing catalogue of L.A.’s wildlife via the iNaturalist app. You don’t need to be a scientist to participate – you just have to observe what is around you! In addition to looking for plants and animals, we will be picking up trash in and around the creek, which ultimately drains into the Pacific Ocean near Long Beach. The data we collect will better inform restoration and revitalization of the Los Angeles River watershed. 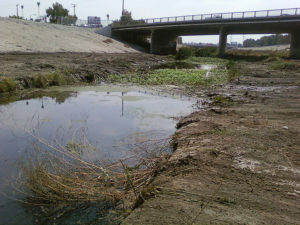 A revitalization plan for the Lower L.A. River is being formulated by the Lower L.A. River Revitalization Plan Working Group. 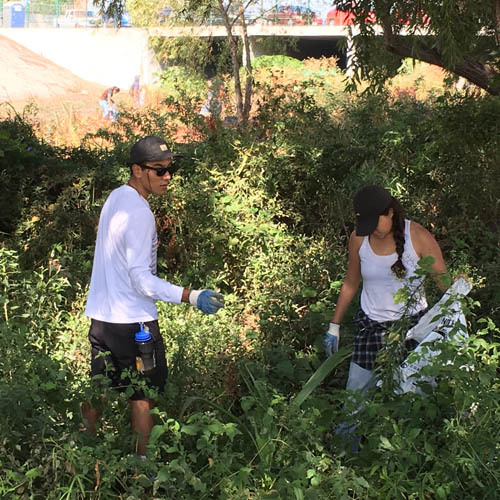 As a member of this effort, Heal the Bay is fighting for better access, improved water quality and restored ecological habitats in the Lower L.A. River. Having data on the current conditions of biodiversity in Compton Creek helps set a baseline so we can establish goals for what we would like to see in the coming years. This BioBlitz is part of two greater efforts in the Los Angeles area to document, protect and improve biodiversity and habitats. First, the Los Angeles City Council, championed by councilmember Paul Koretz, recently passed a motion to protect and improve biodiversity in Los Angeles. Heal the Bay has been involved in this effort and sees this BioBlitz in Compton Creek as a way to understand the nature that exists all around us in greater Los Angeles. The second push is the city of Compton’s revival of the Compton Creek Task Force. 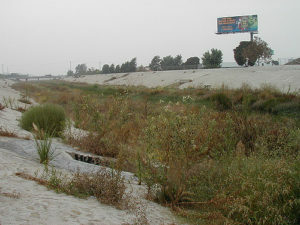 The Task Force is focused on creating stewardship opportunities along the creek, educating residents and visitors about its importance. 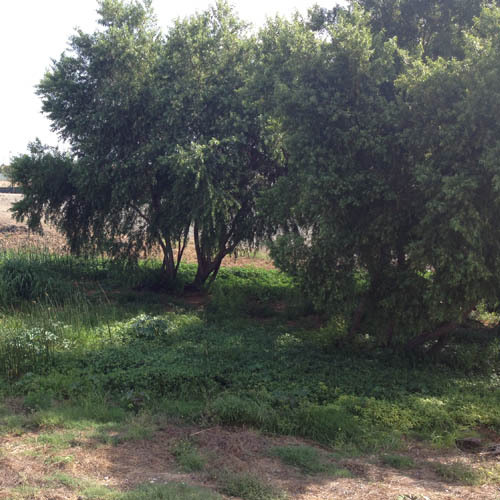 The group will also help implement the city’s Compton Creek Regional Garden Park Master Plan, which includes restoring the earthen-bottom portion of Compton Creek. If you ever thought about becoming a citizen scientist, this is an ideal opportunity to get started. Last year, we hosted similar events in the Ballona Wetlands and Malibu Lagoon. Dozens of volunteers made a big difference in our ongoing restoration work by creating a record of what they saw each morning. You can register with us for the event here.